The Mr Men are celebrating Chinese New Year. Little Miss Neat is having a party with traditional decorations and a New Year's Eve feast and the next day there will even be a dragon dance. What could possibly go wrong? 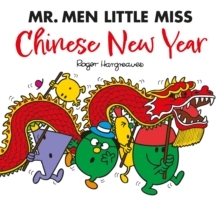 !Mr Men and Little Miss Celebrations introduce children to all the exciting occasions that people celebrate including birthdays, Christmas, Halloween, Easter and now Chinese New Year.